A strangely delightful and unexpected tale about one hot summer in the city, three children and their three goldfish. Who are joined by a whole lot more children and their goldfish. When you can’t leave the city for a vacation...there’s only one thing to do. 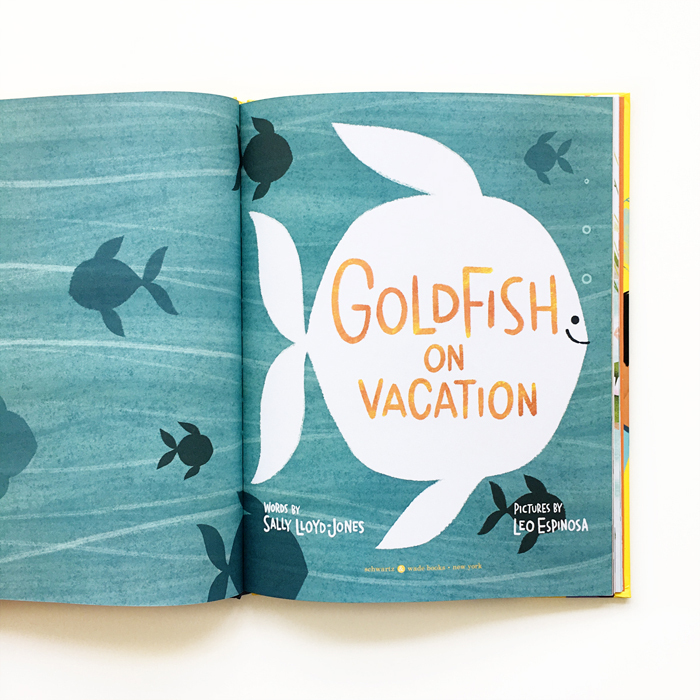 It’s a sunny, lighthearted story with a nostalgic nod to simpler, more carefree times that has us pining for summer warmth...and an unusual vacation! 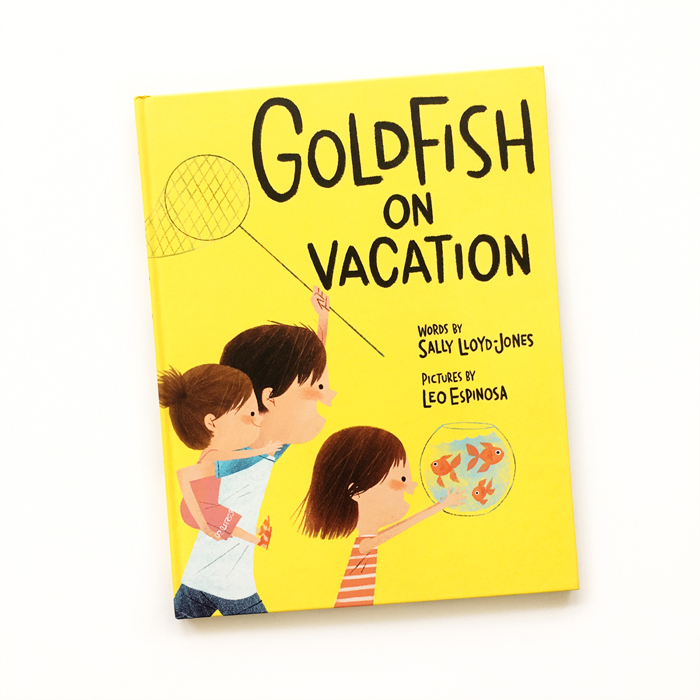 Goldfish on Vacation was written by Sally Lloyd-Jones, illustrated by Leo Espinosa and published by Schwartz & Wade.